Robby Romero rose to prominence with the global broadcast of his first internationally televised music picture campaign, IS IT TOO LATE and with his designation as a United Nations Ambassador Of Youth For The Environment. 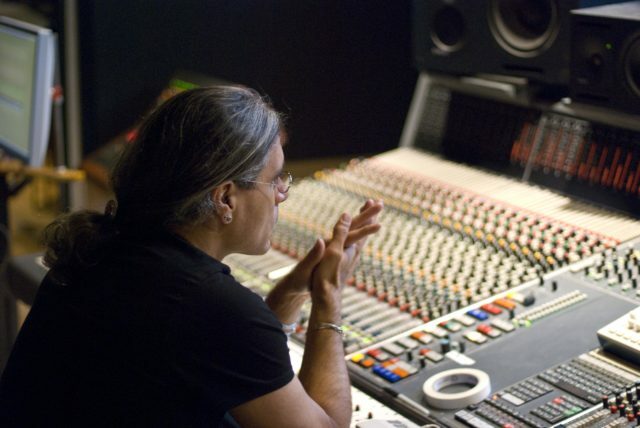 Over the past two decades, Robby has used the international languages of music and film to help shift the paradigm and bridge the gap between Indigenous Peoples, human rights and the environment through his non-profit organization, Native Children’s Survival. Robby has spoken and performed and his work has premiered at grass-roots Indigenous gatherings and world events across the globe. 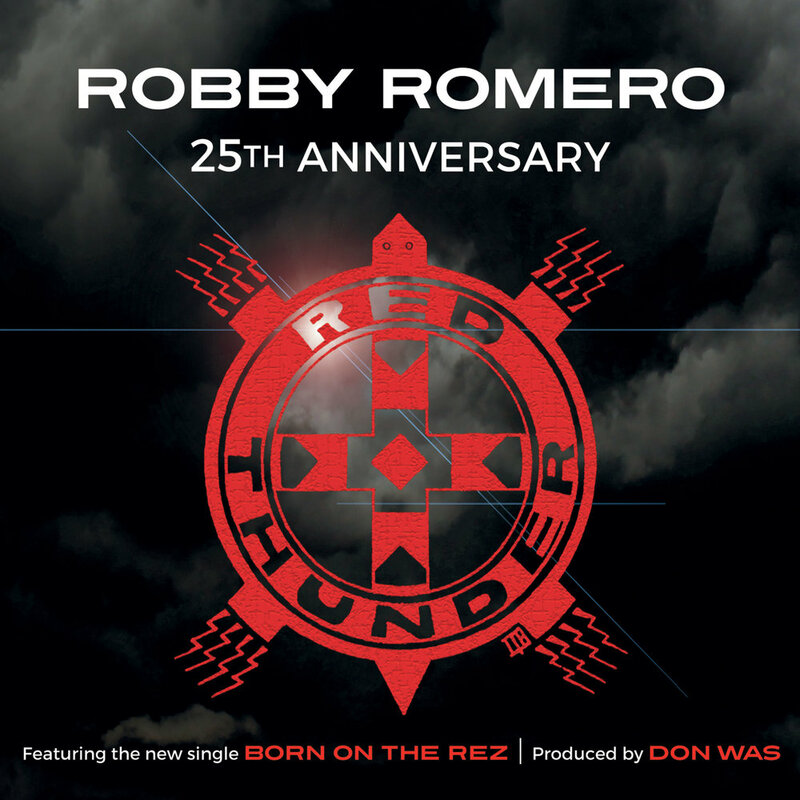 Robby’s groundbreaking alter-native music has taken him from the heart of Indian Country to the main street of the world with commercial success and critical acclaim. 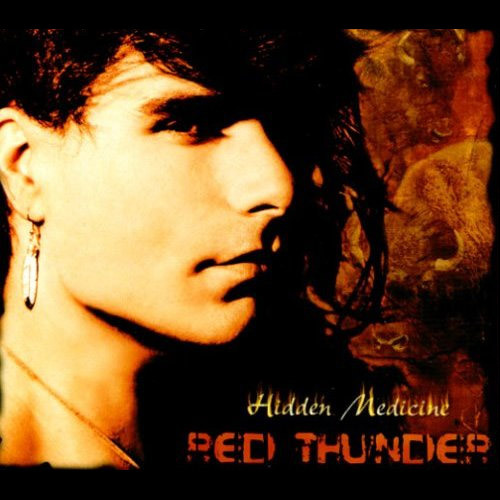 His music pictures broadcast on MTV and VH1 introduced Native Rock Music to the music television generation. Robby has performed with multi-platinum artists, from Bonnie Raitt to Carlos Santana and has shared the stage with musical legends including Stevie Wonder and Yusuf / Cat Stevens. His journey has included concerts, events, and rally's with such dignitaries as His Holiness the 14th Dalai Lama, Archbishop Desmond Tutu, and World Leaders including Mikhail Gorbachev, Nelson Mandela (18 July 1918 – 5 December 2013), Evo Morales, and Shimon Peres. Robby’s innovative music pictures, stereotype-breaking public service announcements, and politicized rockumentary films have catapulted him into an arena of his own making. 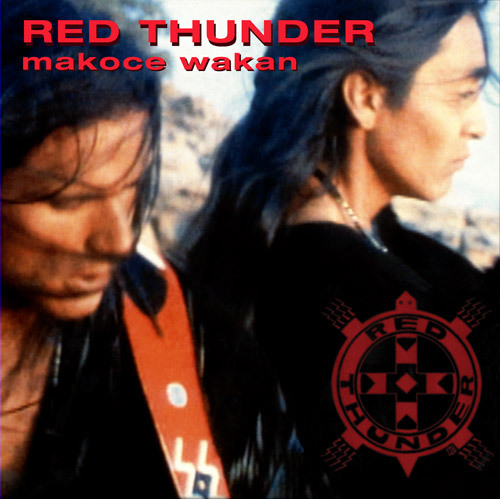 His directorial film debut Makoce Wakan: Sacred Earth first aired on VH1 in 1993. Robby’s work has premiered on national and international networks from Sundance TV to SABC Africa. Robby is currently working on a new film and limited-series with The Wolper Organization at Warner Bros.
Robby has conducted and performed at benefit concerts and fundraisers for more than three decades. Proceeds raised from concerts, recordings, campaigns, and eco-friendly giveback products have supported Indigenous Peoples and Organizations internationally. Funded projects have included: 14 Children's programs on 5 continents, more than a dozen Environmental Organizations on the frontlines of Climate Change, the Sacred Run, the American Indian Institute: Traditional Circle of Elders and Youth, the American Indian Law Alliance, the Seventh Generation Fund for Indigenous Peoples, the Desmond Tutu Peace Center, the Milagro Foundation, GiveLove, the Standing Rock Sioux Tribe, Tiwa Farms, the Blackfeet Community College Greenhouse Geodesic Dome project that produces some 5,000 species of native plants for traditional medicinal use and restoration on the Blackfeet Indian Reservation in Montana, the Eyak Preservation Council project that protects and preserves wild salmon habitat and Indigenous culture in the ancestral Eyak homelands of the Prince William Sound and Copper River watersheds, the building of a Lakota Language Immersion School, and the purchase of two ambulances that saved 70 people from death or disability during the first year alone in the community of Oglala on the Pine Ridge Indian Reservation. 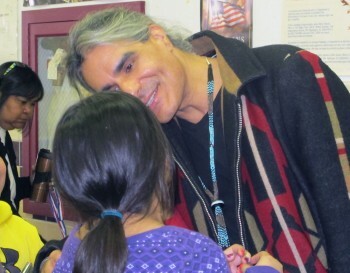 His Project Protect Awareness Campaign launched at Taos Pueblo Day School has led nation-wide discussions at Schools across the country about protecting Mother Earth and the need for the implementation of the United Nations Declaration on the Rights of Indigenous Peoples. During the historic stand at Standing Rock, Robby, together with Lakota elder Phyllis Young and Ojibwa Warrior Dennis Banks, conducted a series of concerts to #StandWithStandingRock and create awareness and support for the #NoDAPL #WaterIsLife movement. 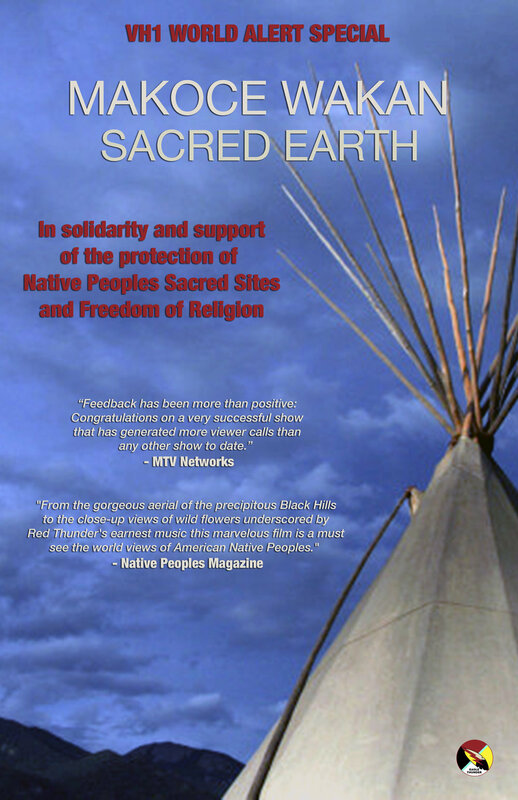 He organized and partnered with Academy Award Winner Patricia Arquette, her organization GiveLove, and with the Standing Rock Sioux Nation, to help protect the Sacred waters of the Cannonball and Missouri Rivers by bringing safe sustainable sanitation to the Oceti Sakowin Camp and the Standing Rock Indian Reservation, in North Dakota. 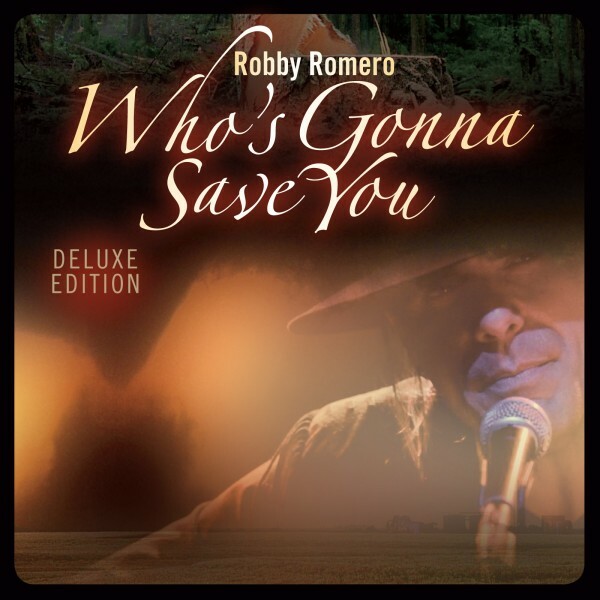 Robby’s humanitarian work has received multiple awards and cultural acknowledgments from The National Congress Of American Indians, The United Nations, and Indigenous Nations and communities around the world — to the prestigious CableAce Award, Gold and Platinum Records, and the cherished counterculture Wavy Gravy Humanitarian Award. Robby has consulted and worked with Eco-friendly companies on product development and marketing including, The Aveda Corporation, Missy’s Organics, Under The Canopy, Jurlique, and Dennis Banks Native Foods. While working with Aveda, Robby created and developed the successful and prosperous “Indigenous” give-back product line to support the traditional and sustainable practices of Indigenous Peoples. He created the “Pueblo” southwest jewelry line exclusively for Aveda. The "Pueblo" line was a unique collection of handcrafted jewelry made by Buffalo Dancer silversmiths and jewelers from Taos Pueblo. Due to popular demand, both "Indigenous" and the “Pueblo” southwest jewelry line will be relaunched with the specific goal to give-back to Indigenous Peoples and organizations on the front-lines of Environmental Justice and Social Change. Robby established Eagle Thunder Enterprises (ETE). ETE is an artist-owned and operated independent Indigenous company consisting of four divisions: 1) Film 2) Music 3) Publishing and 4) Production. 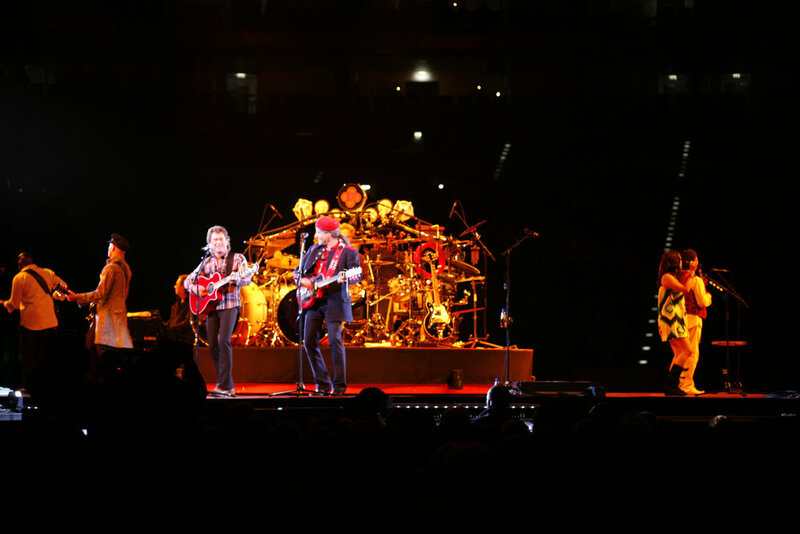 ETE has reached millions of listeners, viewers, and customers from all walks of life through global releases, television broadcasts, live concerts, festivals, tours, and events. Robby’s rare performances outside of Indian Country have spanned such notable venues as the United Nations General Assembly Hall, United Nations Headquarters in New York City, the Cathedral of Saint John the Divine in New York City, Harwood Museum of Art in Taos, Micheal McCormick Gallery in Taos, American Museum of Natural History in New York City, Pop International Galleries in New York City, the Washington National Cathedral in Washington, D.C., the Nipponzan-Myōhōji Buddhist Peace Pagoda in Hiroshima, the Haus für Mozart Opera House in Salzburg, the Komische Opera House in Berlin, the House of Artists in Moscow, and the National Museum of Denmark in Copenhagen. 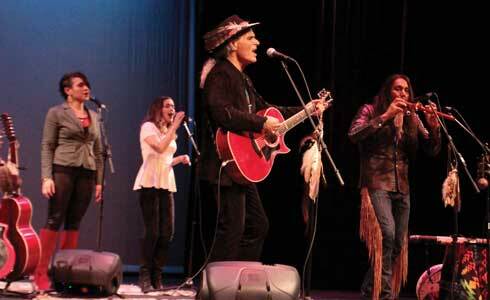 Concerts and tours outside of Indian Country include the U.S. Drums Across America concerts, the U.S. and Japan Sacred Run Tours, the United Nations Earth Summit concert series in Brazil, the U.S. All Our Colors concerts with Santana, the Botanist Conference concerts in Mexico, the Nuclear Free Forum concerts in Austria, the U.S. H.O.R.D.E. Festivals and Blues Traveler Fall Tours, the United Nations Conference Against Racial Discrimination concerts in Australia, the United Nations World Summit on Sustainable Development concerts in South Africa, the EU Encounters: An Alliance for Children Arena Tour and Peace Concerts, and the U.S. Stand With Standing Rock concert series. 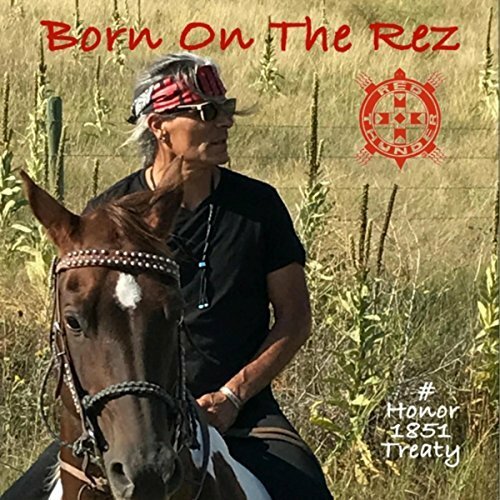 Robby has used his music, voice and presence to stand up internationally for the Rights of Indigenous Peoples, the preservation of Mother Earth and the celebration of all of her children. His efforts, dedication and passion have led Robby to be honored and supported around the world by an array of people, including Indigenous leaders and politicians, fellow artists and activists, celebrities, friends and fans of all walks of life. 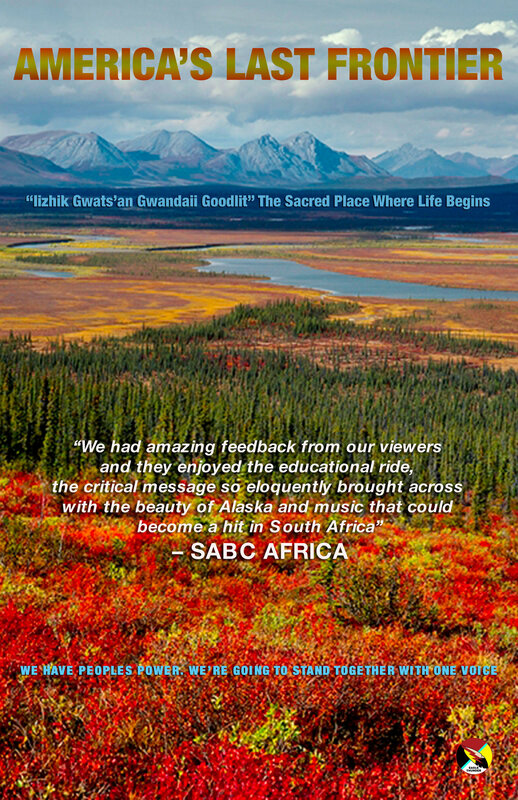 Robby offers a profound voice of appreciation and action, weaving the timeless wisdom of Indigenous Peoples into the unfolding fabric of the future.